During World War II, Crimea was a scene of some of the bloodiest battles. Finding yourself in a battle-scarred world, you will assume the role of a military commander in charge of an occupied town seeking to survive and fight. Download free full version game today and experience the intensity and adrenaline rush of real combat. Free Game Features: - Award-winning strategy game; - More than 50 missions; - Increased degree of realism: completely overhauled unit values; - More than 50 new units; - Fight battles in three difficulty levels; - Controllable boats allow you to cross rivers; - Supplies and additional fire power provided by controllable railways; - Each motorized unit possesses a separately controllable crew and can be captured; - Weather system: March troops through rain and snow; - Campaigns set in summer & winter landscapes; - Free full version game without any limitations. 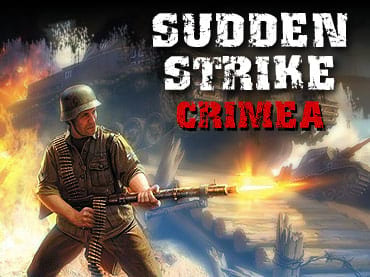 If you have questions about Sudden Strike Crimea game, please contact us using this form.